Elizabeth Papez is a partner in the Washington, D.C. office of Gibson, Dunn & Crutcher LLP and a member of the firm’s litigation group. Her practice focuses on high-stakes class actions, complex commercial litigation, and related government investigations and appeals. As a seasoned litigator and former U.S. Deputy Assistant Attorney General, Ms. Papez has substantial experience representing clients in the financial services, pharmaceutical, consumer, and product sectors. 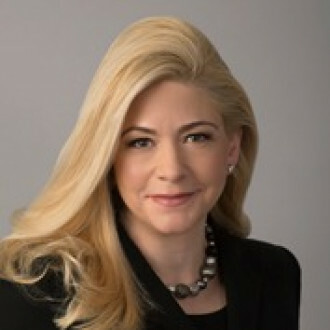 She regularly handles federal class actions, multidistrict litigation (MDLs) and other complex commercial disputes under federal and state antitrust statutes, banking and securities laws, and false claims acts, as well as parallel regulatory investigations with the U.S. Department of Justice (DOJ), the Securities and Exchange Commission (SEC), the Commodity Futures Trading Commission (CFTC), and the Food and Drug Administration (FDA). Ms. Papez has been repeatedly recognized as one of Benchmark USA’s Top 250 Women in Litigation nationwide, which named her a “client favorite” who is “extremely smart and practical and very charismatic,” and is praised by peers as a “fierce, dynamic, bright, powerhouse of a litigator.” Ms. Papez is also recognized in The Legal 500 for her antitrust and appellate work, and by The Best Lawyers in America 2019 for her appellate practice. Supreme Court Preview: What Is in Store for October Term 2011?